On February 9, 2016, VMware announced a flurry of new EUC-based products to go with the already-announced AppVolumes 3.0. Note I say “announced” and not “generally available.” This annoys me. If something is announced, it should be available for download; it should not be made available at a yet-to-be-announced date several weeks down the line. But that is an aside. 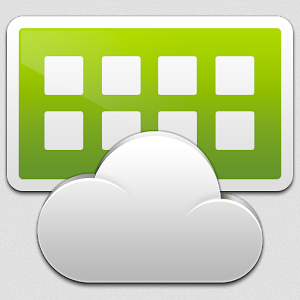 The two main EUC products announced are VMware Workspace ONE and Horizon View 7.0. The latter is the next generation of VMware’s venerable Virtual Desktop Infrastructure product (VDI), and the former is a new suite that comprises Horizon View, AirWatch EMM Content Locker, and Workspace. Most of you know Ron Oglesby, ex RapidApp/Glasshouse, ex Dell, and all round super hero. Well as you most likely know he is now the Chief Architect of startup VDI company – Unidesk. Late last week he tweeted that he wanted some people to kick the heels of his new demo environment and I was one of those fortunate to be given an early view. The environment consists of a fully functional Unidesk environment, other vendors take note, this is a great way to show case your products, especially in these time of austerity where travel budgets are being cut. So what were my first impressions of the setup, Ron sent me a RDP link late Friday and I had the weekend to play. I have only one minor gripe and it is a very small one (please Ron don’t go breaking any bones ) and that is it would have been nice to have the documentation easily to hand or some howto vids via a separate download link. Unfortunately I now have a little nigglely itch in that very hard to reach place on your back, that I know will not be eased until I can play with the actual software. I want to know how easy it is to install, configure etc, how quickly can I get the environment up and running from a standing start. how good is the documentation, can I break! How good is support if you hit trouble etc. So thanks for the opportunity to kick its heals Ron, but now I want to get upfront and personal with it. Things seem to have been a little quite on the Sec advisory front lately, well to be fair that is a good thing, however I received this one this morning and as is traditional, here it is in full.